Dowty Propellers, a manufacturer of aircraft propeller systems for both civil and military applications, has broken ground on its new manufacturing facility in Gloucestershire. The facility in Hucclecote includes manufacturing space and office accommodation. It will be the new business headquarters as well as the production and repair facility for Dowty employees in the UK, who are currently working out of interim facilities in the Gloucestershire area. The facility will incorporate the latest ‘Brilliant Factory’ technology which equips machines with sensors, allowing data to be analysed in real time. The site is expected to be operationally ready by the end of 2019. Employees will progressively transfer to the new facility once it is operational. In 2017, Dowty Propellers announced its commitment to continue operations in the Gloucester area following a fire that destroyed its operating headquarters and blade manufacturing facility in February 2015. The company’s propeller system excellence and its successful recovery from the 2015 fire has been recognised with an Award to Industry from the Worshipful Company of Coachmakers & Coach Harness Makers of London – an organization that provides a forum for those with common interests in automotive, aerospace and other industries, along with the armed forces. 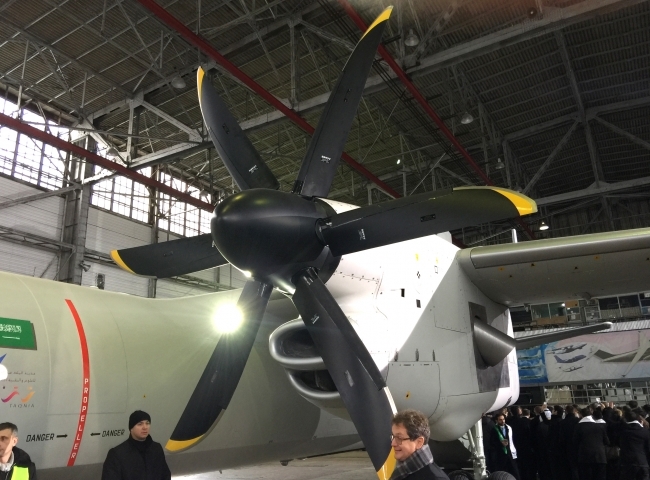 Dowty Propellers is also participating in a £20M technology development project to deliver capabilities for both propeller systems and future propulsion systems. The project, Digital Propulsion, is match funded by the UK government and supported by the Aerospace Technology Institute with a grant of £9.5 million. Partners include the UK’s National Composites Centre, The University of Sheffield Advanced Manufacturing Research Centre and the Manufacturing Technology Centre. The project has completed the first of three years’ activity, and good progress has been made on defining the concepts that will deliver the project objectives, ultimately ensuring that the UK remains a leader in propeller system development and support.